I did the International Baccalaureate diploma program at Regiopolis-Notre Dame High School in Kingston, Ontario, and graduated in 2002. After high school, I attended McGill University achieving a Bachelor of Science in Biology and English Literature in 2006. I liked the diversity of experience and education that I got from completing a double major. During my undergraduate degree, I completed a thesis project exploring how fishes adapt to extremely low-oxygen environments. This project made me interested in how animals adapt to their environment, and how they manage when their environment changes, either through natural causes or from man-made events. Pursuing these interests, I went on to complete a PhD at Carleton University, graduating in 2011. In 2011, I came to McMaster University as an E.B. Eastburn postdoctoral fellow and I have been researching how social behaviour in fish has evolved. I was interested in coming to work at McMaster before I heard about the award, and was told about it by my current postdoctoral supervisor, Dr. Sigal Balshine. 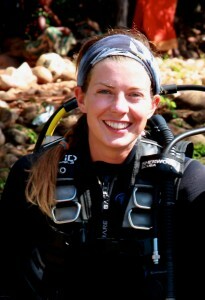 As another connection, my PhD co-supervisor, Dr. Katie Gilmour, was also previously an E.B. Eastburn postdoctoral fellow. My work at McMaster University has been very successful, and I just received an NSERC award to continue this for another two years. I plan to incorporate some of my previous interests into my research, and look at how social behaviour is influenced by environmental change, especially environmental degradation. It would not have been possible for me to come to McMaster and pursue this research without this award. The E.B. Eastburn postdoctoral fellowship made it possible for me to continue a career in research. My research has been extremely successful, and none of that would have happened without the award. Postdoctoral research funding is becoming increasingly scarce. This award is an incredible opportunity for someone to continue research beyond graduate school, and acts as a stepping stone to a permanent job in research. These types of awards are extremely valuable and very much appreciated by the research community! I would not have come to Hamilton without this award to bring me to McMaster University. However, I have also really enjoyed living in Hamilton, and I am happy to have had the opportunity to live here.